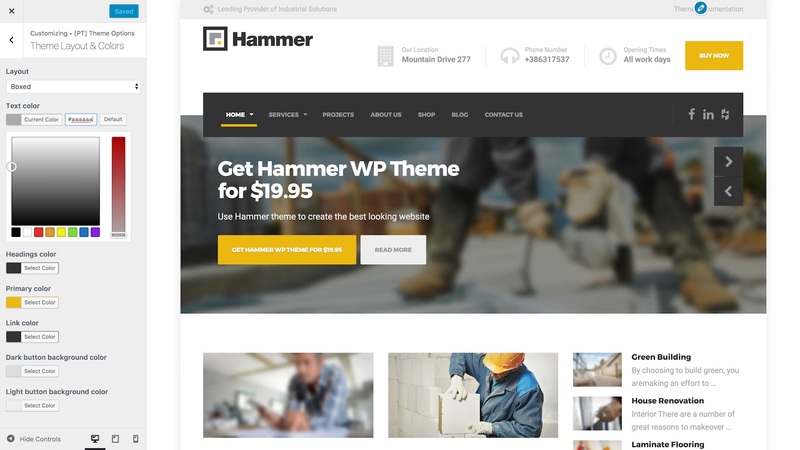 Hammer is a niche construction WordPress Theme from ProteusThemes. 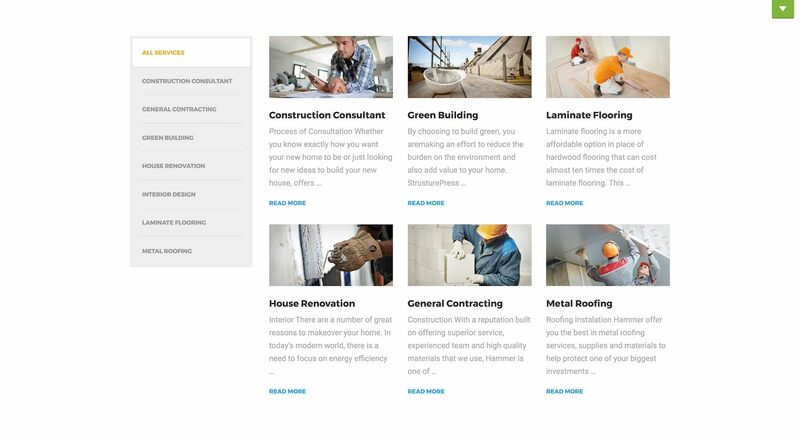 It is the ideal theme for contractors, from renovation and landscaping to gardening and interior design. 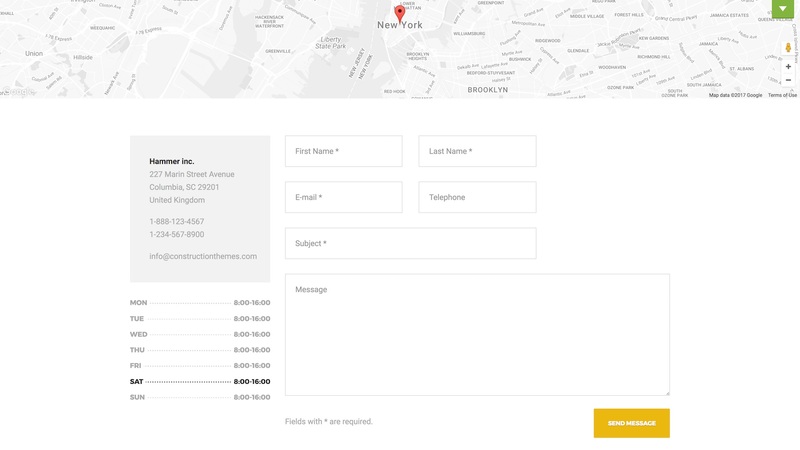 Hammer offers both wide and boxed layouts, with a mobile-friendly design that adjusts to all devices and resolutions dynamically. 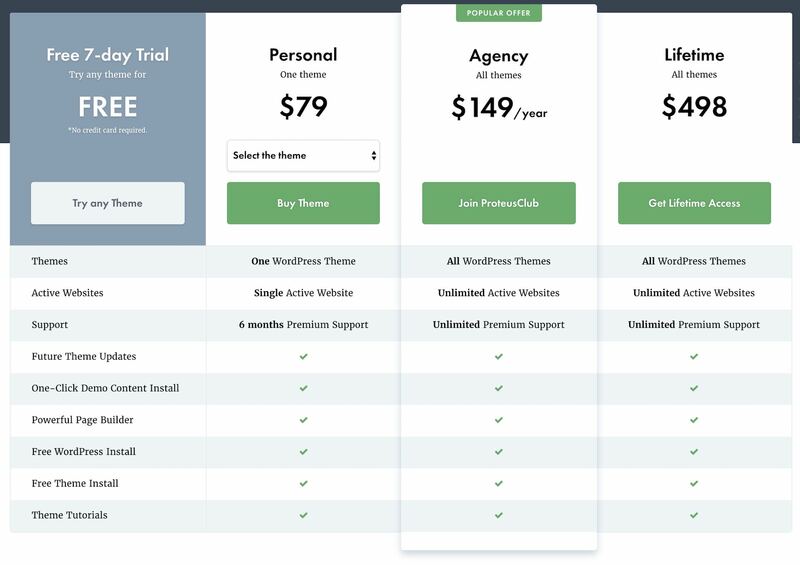 The WordPress Customizer offers Hammer specific settings. Upload a retina logo, switch layouts and change colours to suit your company's unique look and feel. 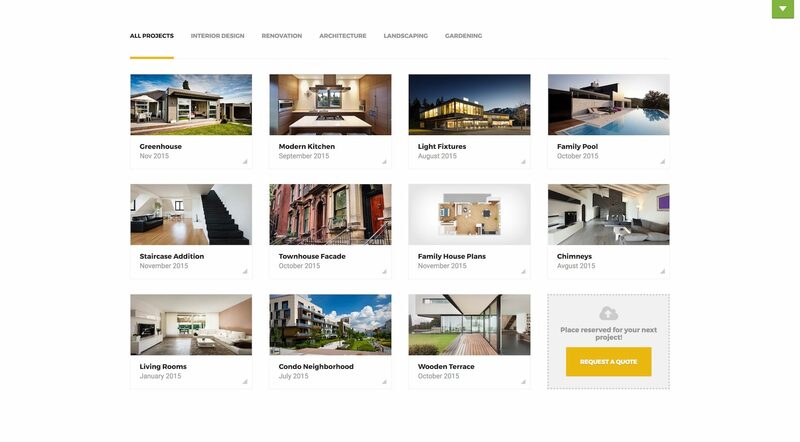 Each Hammer page is built using SiteOrigin Page Builder, offering an intuitive drag and drop interface for maximum control over your page layouts. 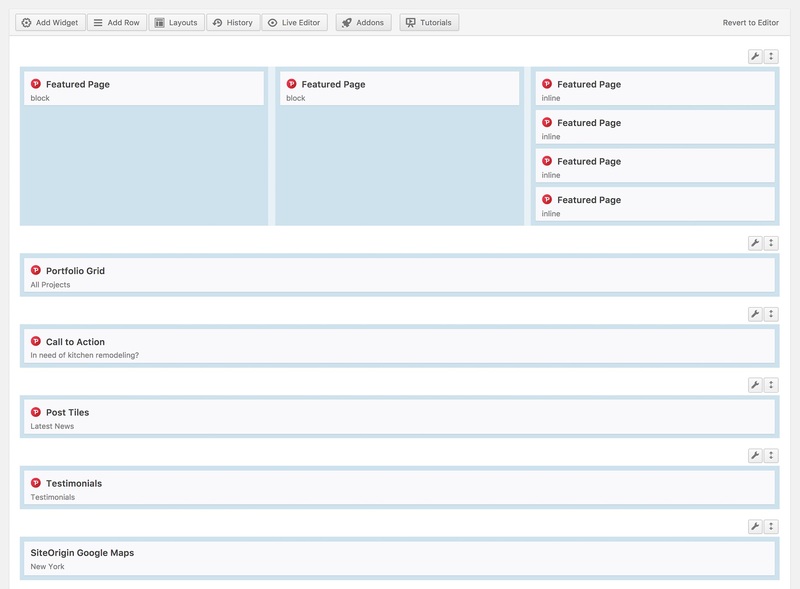 Adding rich content to your pages couldn't be simpler with 15+ custom ProteusThemes widgets. 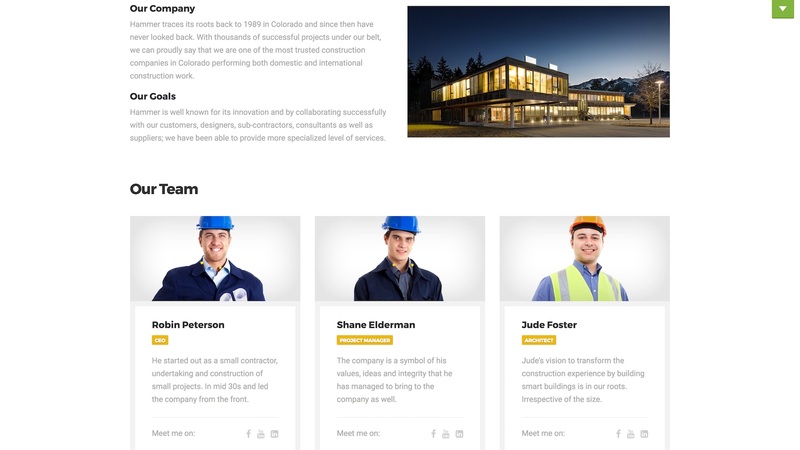 From portfolio grids, opening times, latest news, to testimonials, Hammer has it all. 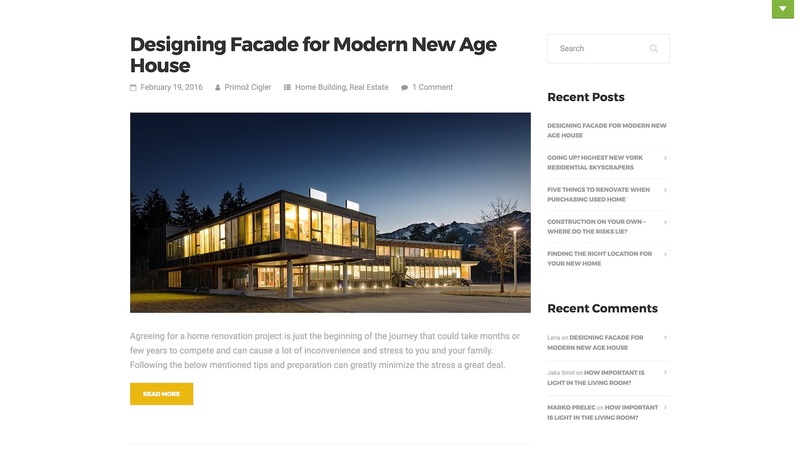 The Blog layout allows for easy reading and navigation between latest articles, archives and categories. Share your interior design ideas, latest gardening tips and landscaping suggestions. 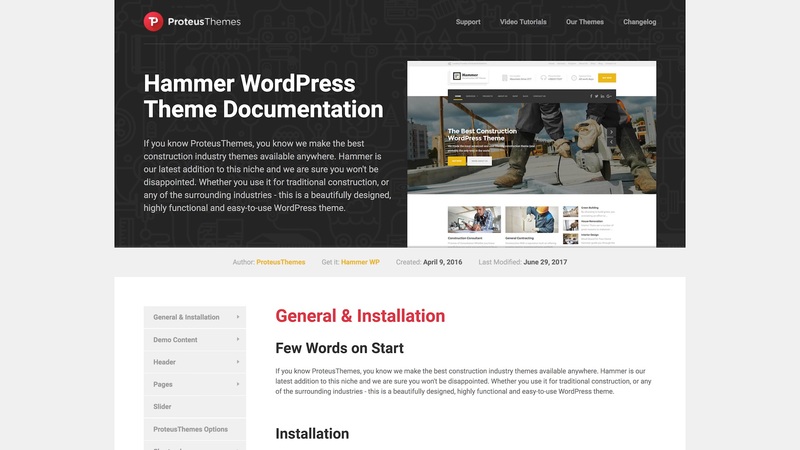 Hammer is well documented covering all aspects of the theme configuration and guiding you through the installation and demo import process. And that’s Hammers. 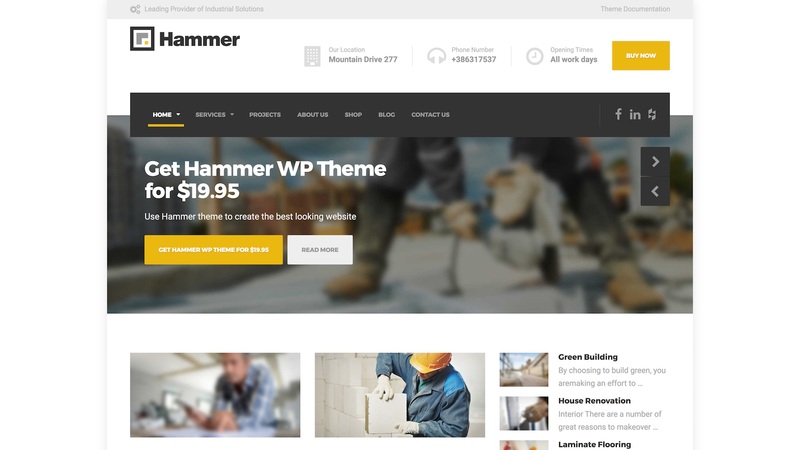 The perfect WordPress theme for contractors looking to create a professional website.